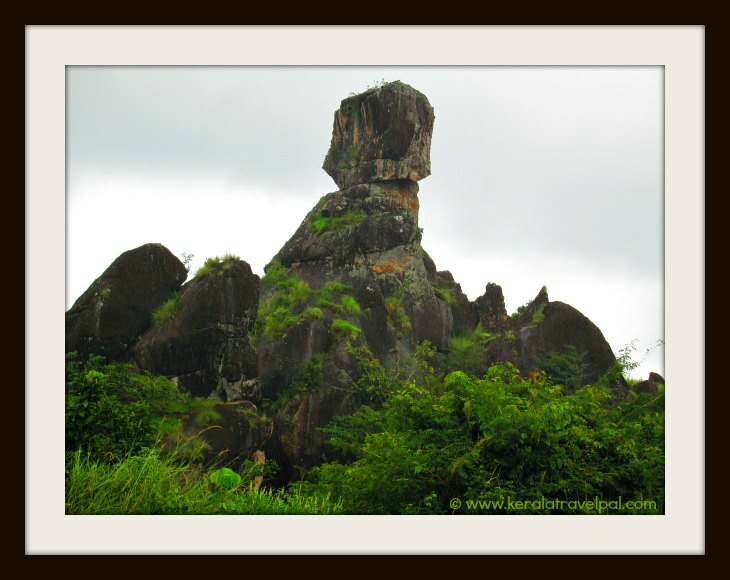 Phantom Rock is a natural attraction located about 2 kms from Ambalavayal town in Wayanad. While it is fascinating to see the weird shaped rock, its surroundings are also quite pretty to justify a stop by. The top of the rock looks like a skull. It resembles the head of Phantom and hence the name. One of its names in Malayalam is Thalappara, which means ‘head rock’. The more popular name for this location though is Cheengeri mala. If you look at the whole structure, may even notice a slight resemblance to the Sphinx. 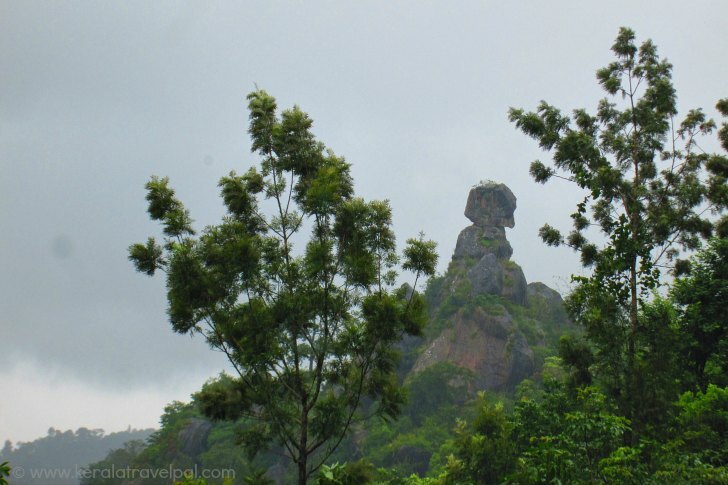 If you are sightseeing near Mananthavady or Kalpetta, it doesn’t worth travelling a long distance just to see Phantom Rock. It is more likely that you will be arriving at Ambalavayal to see Edakkal Cave, which is one of the not to be missed attractions of Wayanad. If so, you can also reach the pretty location of the rock, which is only about 7 kms from Edakkal. Are you interested in plants? Then there is a good place to visit – the Regional Agricultural Research Station of simply RARS. It is also at Ambalavayal, within a few kms distance from the rock and the cave. Nearest town: Ambalavayal at 2 kms, Sulthan Bathery at 12 kms, Kalpetta at 25 kms and Mananthavady at 36 kms. Bus Station: Ambalavayal at 2 kms. Taxi/ Auto-rickshaw Hire: Ambalavayal at 2 kms. Railway Station: No rail access to Wayanad District. Nearest Railway Station is Kozhikode at 92 kms. Air port: Kozhikode Int’l Airport (CCJ) at 113 kms. Food Options: A few restaurants at Ambalavayal. Better choice at Bathery and Kalpetta. Accommodation Options : Limited choice at Ambalavayal. Hotels at Kalpetta and Bathery. One of the best ways to stay in Wayanad is in good resort in a lovely location. Nearby Attractions : Chembra peak, Edakkal Caves, RARS, Soochippara waterfall, Kanthanpara waterfall, Kalpetta town (shopping & food), Banasura Sagar Dam, Jain Temple, Muthanga Sanctuary, Tholpetty Sanctuary, Pakshipathalam, Pookote Lake, Pazhassi Monument, Chethalayam waterfall, Karalad Lake, Karappuzha Dam, Sun Rise Valley View Point, Meenmutty falls and Thirunelli Temple.